In public spaces, a nice ladies’ room is always a pleasant surprise. Let's be honest, we've all been in some restrooms that made us think twice about how bad we really need to go. Then there's the restroom that you're just thankful it's clean. It's not necessarily pretty or comfortable. But all the plumbing works, there's toilet paper and you're not overly grossed out by the types of germs you're visualizing on everything. Hosts executive or VIP type clients or visitors. You have a class A (premium) office or facility and visitors have a higher expectation for their restroom experience. Your business simply wants to provide a more luxurious restroom environment for employees. 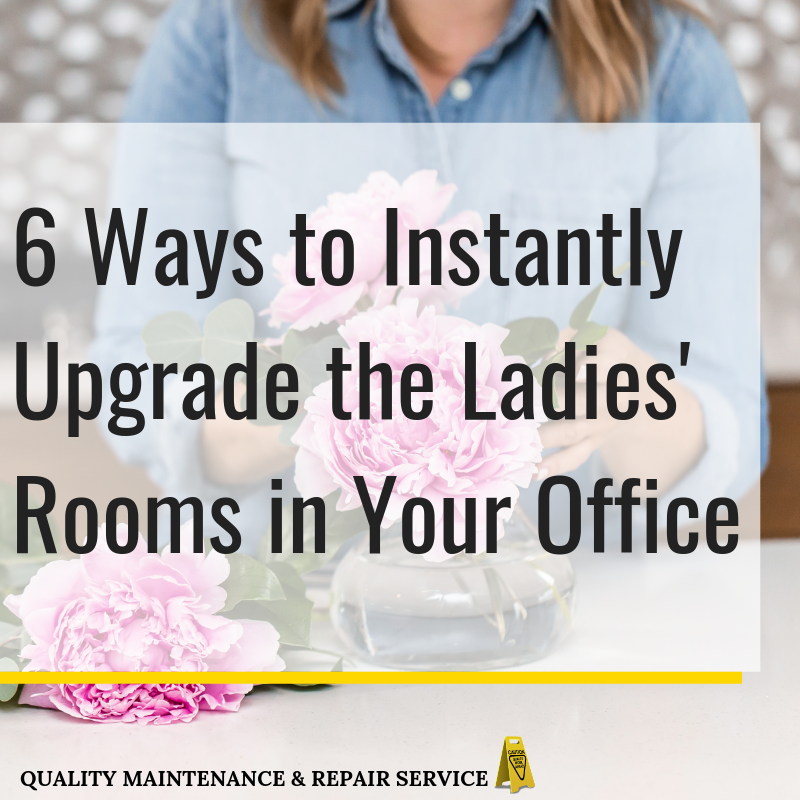 There are many simple ways that can take your restrooms from just clean to "WOW", quickly while improving the experience users have in the ladies' room. 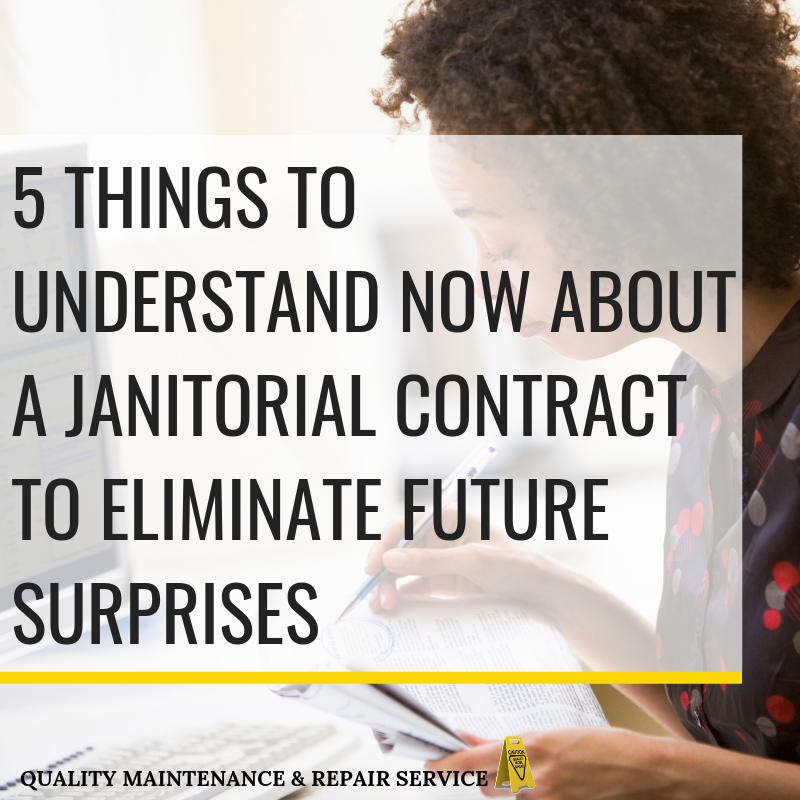 In the course of managing a commercial cleaning service for over 20 years, we’ve seen a lot of ladies' rooms. We’ve noticed that there are some features that absolutely delight users. Delighted users tend to complain less and play their part in keeping the restroom use clean for others throughout the day. The week between Christmas and New Year’s is well, kind of weird. The anticipation of Christmas is over but it’s still not back to business as normal as we approach New Year’s Eve and New Year’s Day. Many people are still on holiday vacation until after the first of the year, so our offices are lightly staffed and in general this is just a very slow week. It’s no wonder it’s so easy to lose track of time during this week. If you are not among the people who are on vacation this week, it could be really, hard to make this a productive week. Well thankfully there is always something that can done when managing a facility. 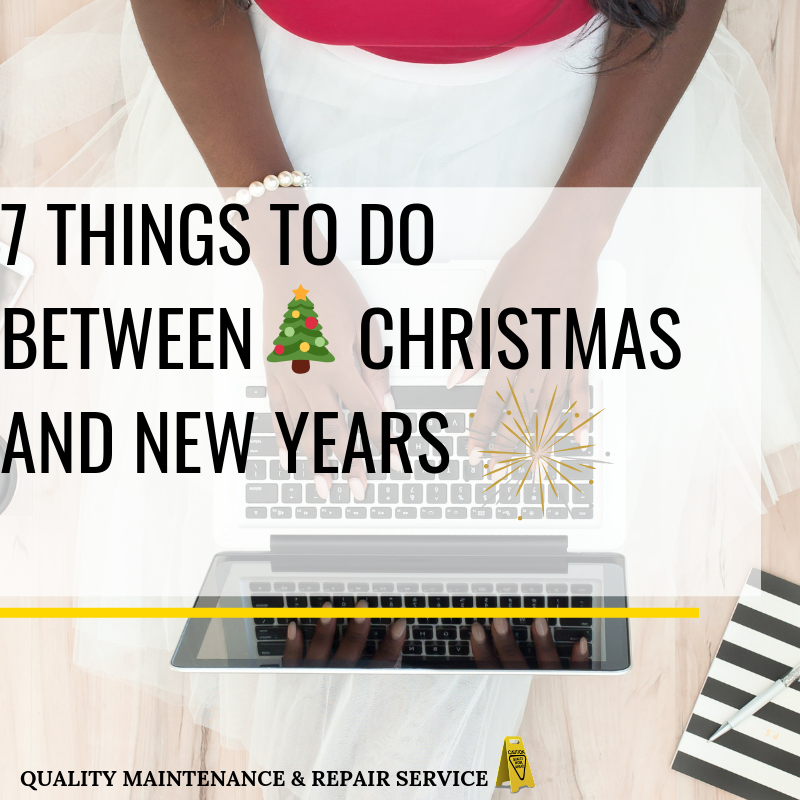 We’ve pulled together a list of things that won’t require too much exertion, (we are just coming off the Christmas holiday and all) but also aren’t just busy work. 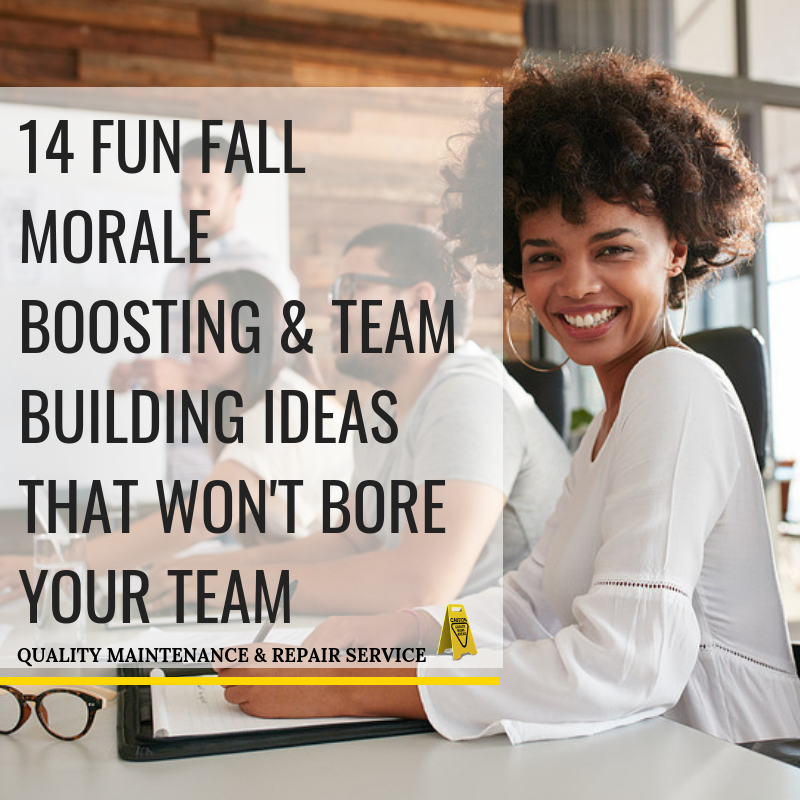 These tasks are a perfect mix of things that actually need to be done and not wanting to take on something too major. 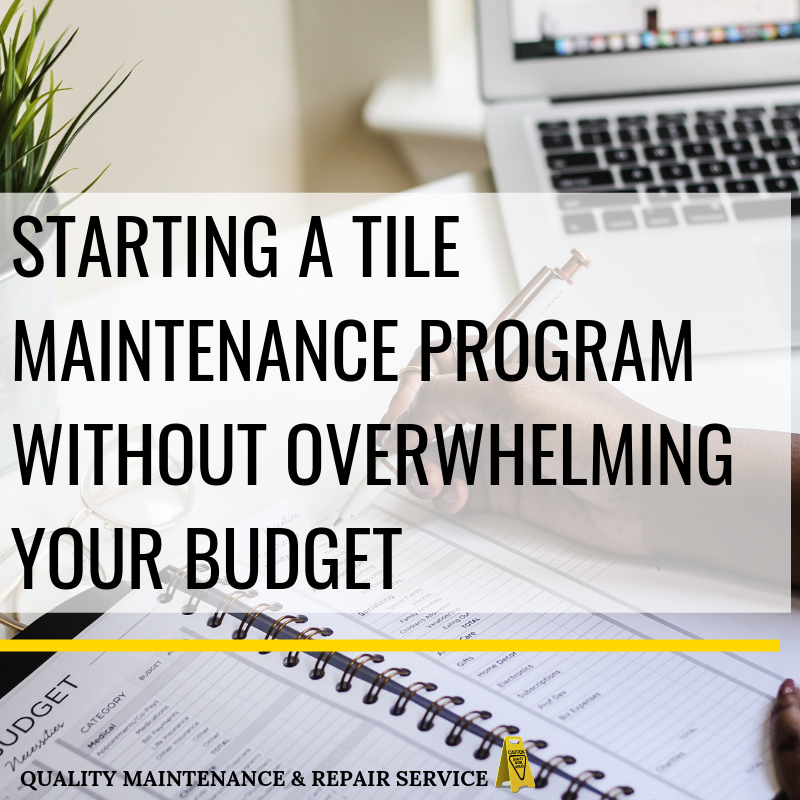 You’ll also have the extra benefit of that great feeling of accomplishment of being able to cross a completed project off your list and being set up for a productive new year. Pick one, two or all the tasks and have a great lull week between holidays.